Look like a goddess in this white piece of fashion clothing. 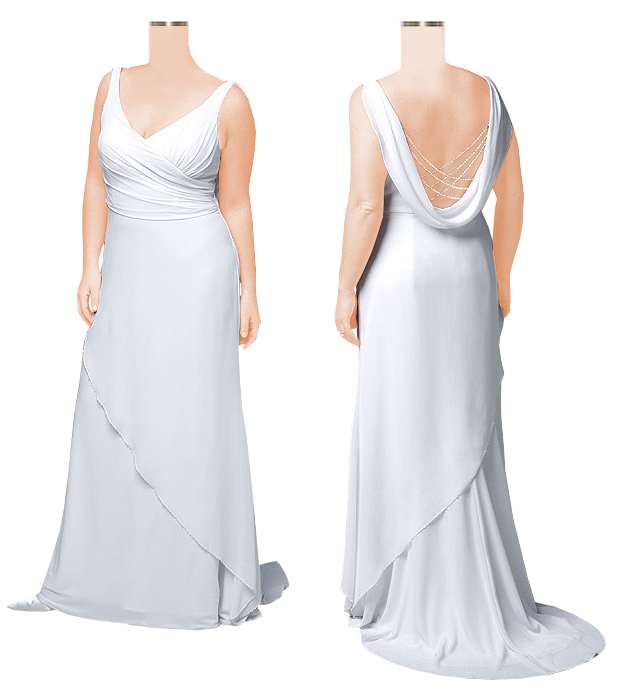 The dress is sleeveless with a slight v-neckline and a cowl neckline at the back. However the back also has a crisscross pattern but in cowl. The dress has an overlay on the skirt and also has long train.